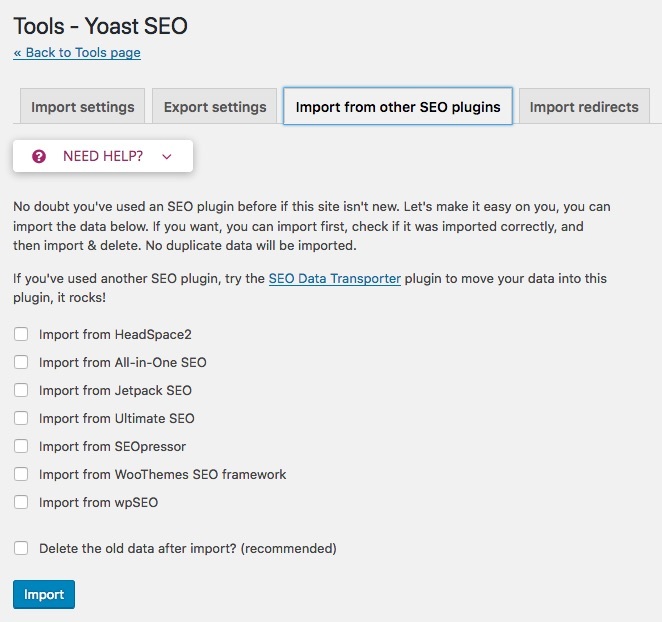 So you’ve made the decision and want to migrate from All In One SEO Pack to our Yoast SEO plugin. It seems some people are afraid of taking the big leap. It’s actually fairly easy although it will be partly manual work. You won’t have to rewrite the title or description for any of your posts though, you can import those. 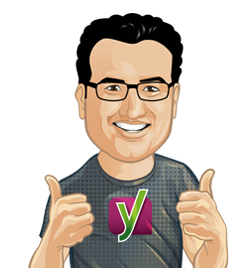 Install Yoast SEO (search for “Yoast SEO” in your backend and you should see it). Disable All In One SEO pack. Select the appropriate checkbox, in this case “Import from All-in-One SEO” and click “Import”. You’re done (with the automated part). This imports all your data from All In One SEO Pack. Should this, for any reason what so ever, not work, then you can use the brilliant SEO Data Transporter plugin. This plugin allows you to move SEO data back and forth between several theme platforms and plugins, so it would also allow you to migrate to Yoast SEO from other plugins like Ultimate SEO. All In One SEO Pack’s data is in, now what? So after you’ve done this, you might want to setup title template, under SEO -> Search Appearance and enable the XML sitemaps, under SEO -> General -> XML Sitemaps. Our plugin now has an onboarding wizard, which wil guide you through the setup, asking you questions about your site and basing SEO decisions of that. Features like the snippet preview, SEO and readability analysis functionality and included XML sitemaps functionality make the plugin a true all in one SEO solution. You can even buy a Yoast SEO Premium subscription for even more awesome functionality, like internal linking suggestions and a fantastic redirects manager. Most importantly, our plugin helps you do better SEO. Good SEO means, in most cases, good content writing. Our plugin aims at supporting you with that as best as possible. Are you using Google XML Sitemaps? If you’re using Google XML sitemaps or another XML sitemaps plugin, you can just disable that and enable the XML sitemaps feature in Yoast SEO. The location changes with that, Google XML Sitemaps uses example.com/sitemap.xml, which is a static file, you can safely remove that. The new XML sitemap will be at example.com/sitemap_index.xml. 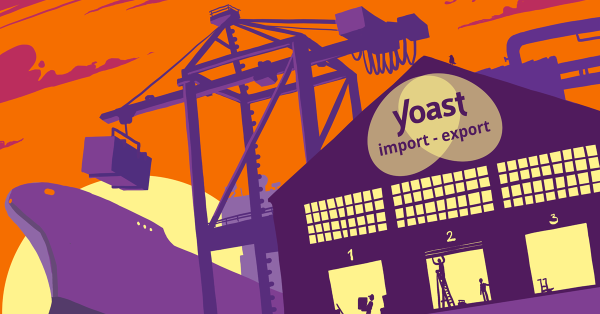 We love to hear from people who have switched over from All In One SEO Pack to Yoast SEO as to what worked for them, what could improve in the import process and what issues you might have had. If you have any tips for the process, please share them so everyone can benefit!